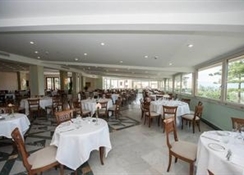 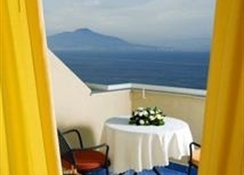 The Grand Hotel Vesuvio, built and furnished in a modern style, is located in a spectacular position, perched on the hillside overlooking the enchanting Bay of Naples and directly accross the bay from the mighty Mount Vesuvius. 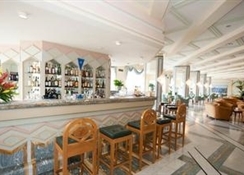 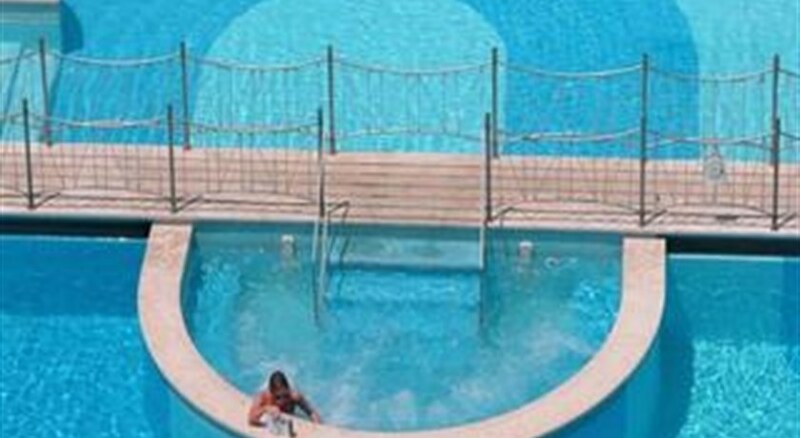 It offers semi-olimpic swimming pools with separate sections for children, gardens, extensive lemon and orange groves, wide lounges, conference rooms, garage, parking, solarium, children's playground, free shuttle bus into town, restaurants, bars.The hotel has 250 rooms, all with bath/shower, air conditioning, mini-bar, radio, color satellite TV. 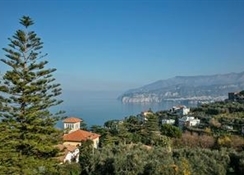 The hotel is fortunate to be located in a tranquil position offering the perfect spot for a relaxing break yet is just a short distance from the centre of Sorrento.